Do you love the flow, surrender and challenge of a good vinyasa class but wonder if you are getting the full benefit from each pose? Sometimes the pace of a vinyasa class does not allow us space to fully understand each pose and how to do them efficiently. Come learn techniques to avoid the most common yoga injuries (wrists, shoulders, hamstrings) and prepare for a long-term, intelligent Vinyasa practice. We will explore the poses of The Vinyasa, learn to use the core to support you in all the poses and study their alignments. 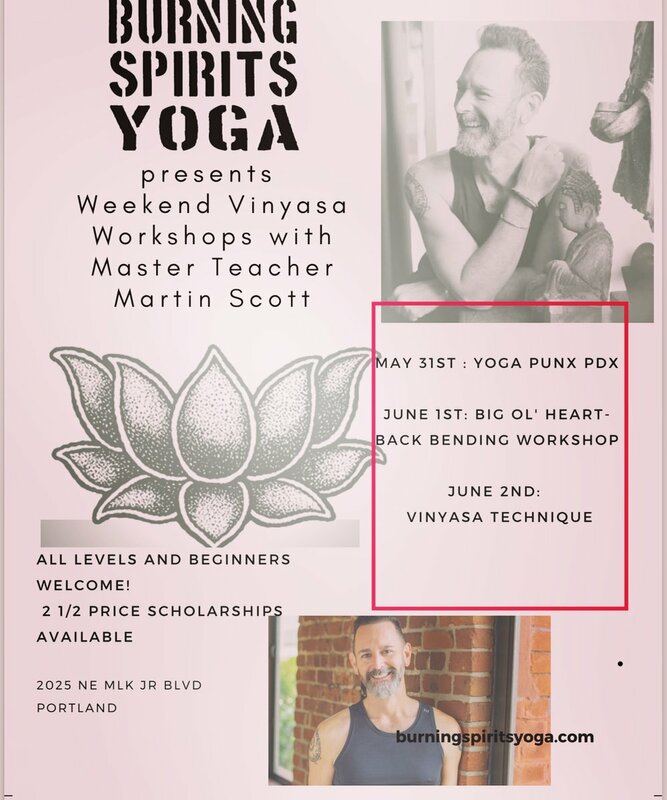 Join Martin Scott, for an afternoon of exploring the foundations of a flow and studying the poses of the Vinyasa and Surya Namaskar A Sun Salutation practice. This workshop is open to all, regardless of experience level. Refine your practice to continue your yoga journey for your lifetime!